Featuring the exclusive Micro-Diamond Complex - a unique blend of hair perfecting ingredients and real diamonds to reveal sumptuous body, silkiness and intense radiance. Formulated to gently remove toxins and build-up from the scalp and hair, whilst dramatically transforming hair’s condition. Shine-enhancing properties from Pearls combined with White Rose Petal Oils work to strengthen, protect and provide intense moisture and hydration. 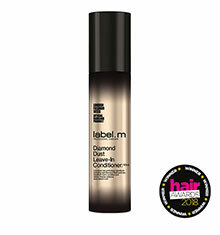 Leaving hair revitalised with shine, softness and bounce.